Jeremy Pratt and the winning team. 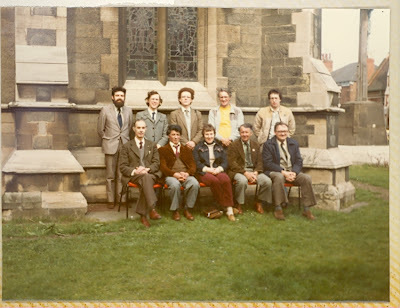 Seven bands took part in ringing the bells of St. Pauls, Burton-on-Trent to the test piece of 411 changes of Stedman Caters for the 1982 Worthington Memorial Trophy. All bands were present at 2 p.m. for the draw before which Father Osborne welcomed competitors to Burton. Buffet facilities were provided throughout the afternoon, as were the bells at Repton, Ticknall and Winshill for general ringing. All appetites seemed to be satisfied and the only hiccup was the final band breaking a rope. By 6.15 p.m. all had completed the test piece, and competitors and supporters were again assembled to await the verdict of the judge (Peter Border) who had stood in at short notice to adjudicate. 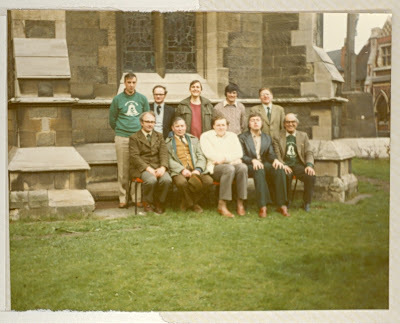 Mr. Border began by thanking his adder/checker Miss Jackie Marriott for her sterling work, and went on to say that although he had heard no first class ringing, he knew the bells were difficult to ring well and he had heard no really bad ringing either. He then delivered concise observations on each performance and placed the bands in the following order: 1st Surrey Association (Northern District) (247 faults); 2nd Coventry Diocesan Guild (251); 3rd Derby Diocesan Association (276); 4th Oxford Diocesan Guild (280); 5th Midland Counties Guild (281); 6th North Staffs Association (290); 7th Worcestershire and Districts Association (367). The silver rose bowl was presented by Mr. Ray Welton to Jeremy R. Pratt, of the winning team, with appropriate congratulations. 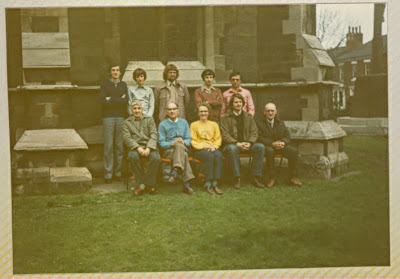 Following the results the majority of ringers adjourned to the nearby ‘Star and Garter’ for the usual inquests. 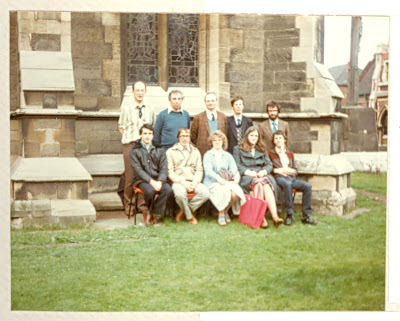 Ian D Thompson, Jane Rogers, Janet R Border, Ruth Border, Len Trevor, Geoffrey W Randall, Geoffrey Pratt, Simon P Rogers, James Insley, John H Fielden. 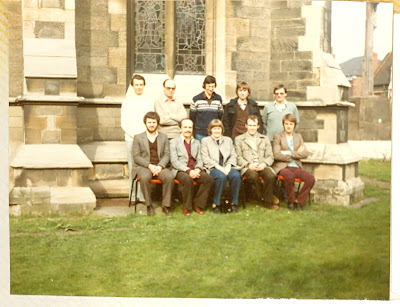 David Collis, Douglas Beaumont, Patricia Newton, Robert H Newton, Stuart J Heath, Kenneth J Darvill, Frederick R Scott, Anthony H Pullan, Nigel C Smith, David L Cox. 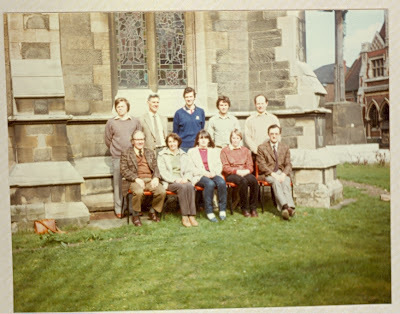 Timothy M Davis, Margaret Jones, Irene Buckley, Michael Wilshaw, Selwyn G Jones, David G Midgley, Ralph B Mitchell, Norman Sherratt, Harold Dowler, Raymond Ballard. 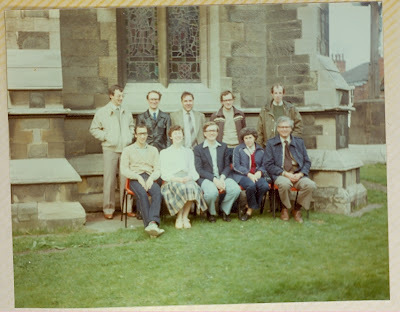 Martin D Fellows, H T Keith Haslam, M Louise Slater, Alan E Hartley, David Beacham, David G Franklin, Michael G Clements, Richard J Clements, Phillip Brown, Ian Westwood.